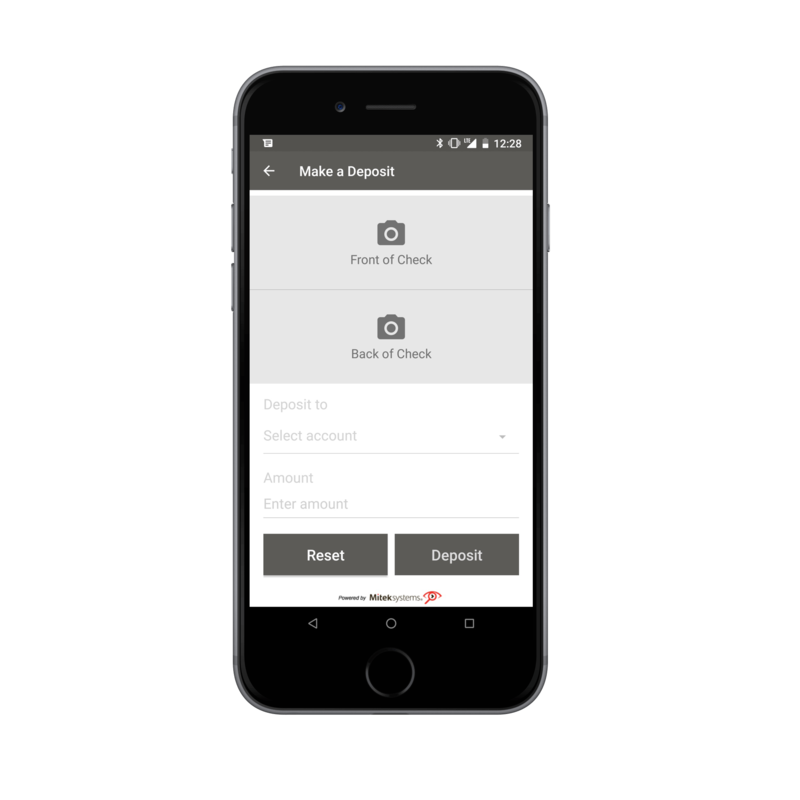 Banking at your fingertips. Anytime. Anywhere. FNBMobile Banking allows our customers to initiate routine transactions, conduct research, make deposits and much more. 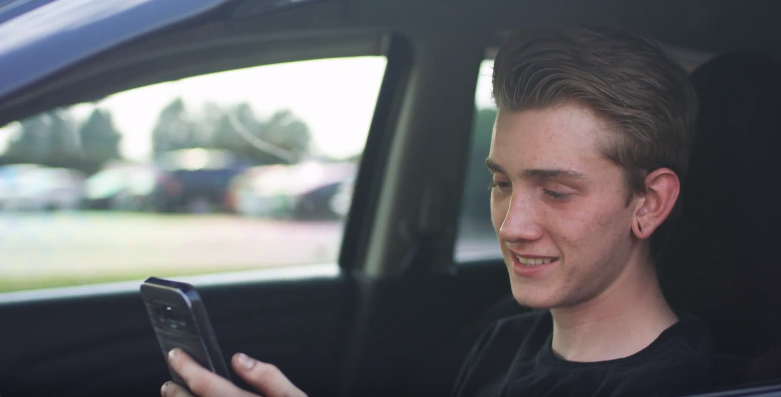 It’s safe and secure with your mobile phone or tablet and can be used anytime, from anywhere. And best of all, it is FREE! 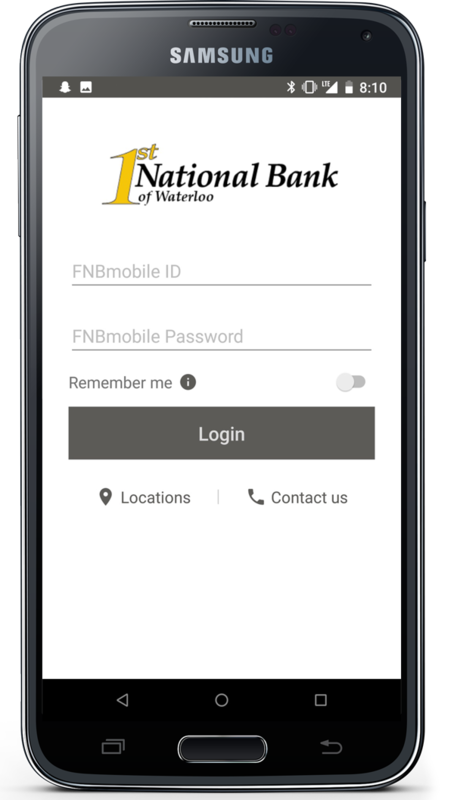 You must be an active First National Bank of Waterloo Internet Banking user to use FNBMobile. 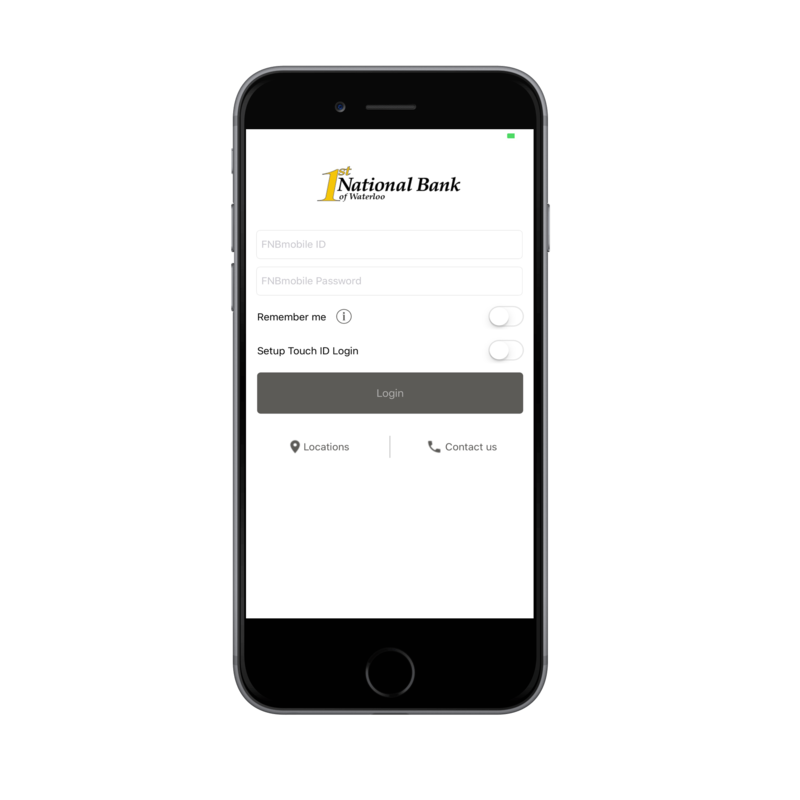 First National Bank does not charge for using our Mobile Banking service. Your mobile phone carrier may charge for text messages and/or Web access. Check your wireless plan for details. Our custom app is made for your electronic devices! Whether you use an Android or iPhone, we have an app for you. Just click the button below to download it now or search FNBWMobile in the App Store or Google Play Store. 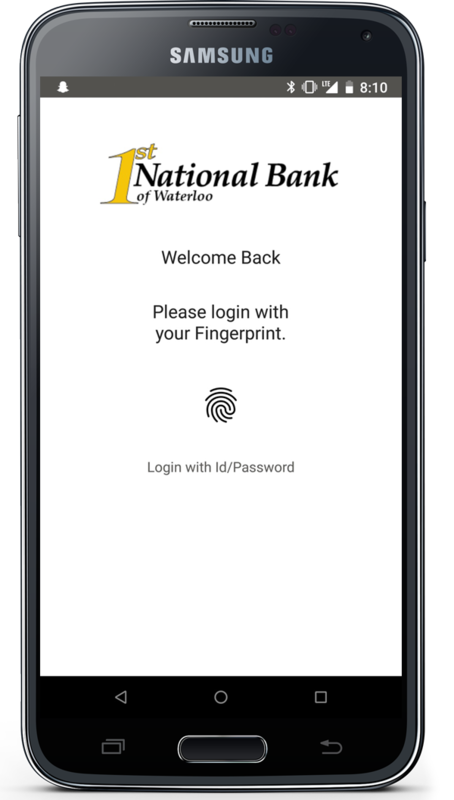 With our mobile app, you can enable TouchID to log in. 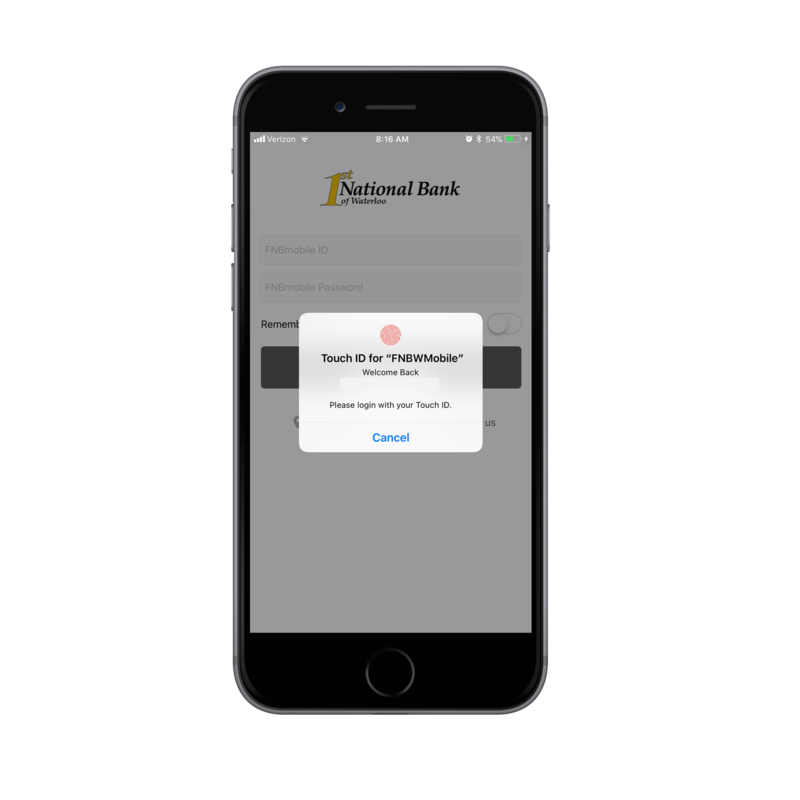 Whether you log in by entering your ID and password or by TouchID, the log in screen will appear as below. To view instructions for enrolling or for making a deposit click here, or click here for Frequently Asked Questions. For support call us at (618) 939-6194 or (888) 231-3165. If you can send a Text Message or SMS, you can request information about your balances and recent transactions. We’ll send you a text message right back with your most up-to-date account details. To help identify your accounts and make texting easier, we recommend setting up the account short names in Internet Banking. To do this, login to FNBonline and click on the Options tab at the top. Choose Mobile Settings >Text Mobile Settings and choose your mobile short names.